Have an adventure on your Spring Break! 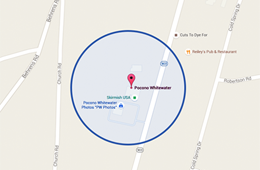 Pocono Whitewater and Pocono Biking are offering a Spring Break Special! 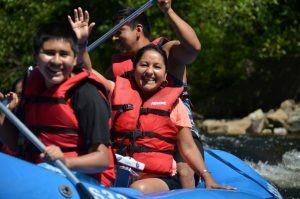 Students get to raft or bike (rental & shuttle) for the discounted rate of $37.99 per person. Don’t forget to bring along your student I.D. And as an added bonus, you’ll also receive a free pass to come back and play Skirmish Paintball – that’s a $37.99 value. Bicycle Shuttle - 15 and 25 mile options Click here for our bicycle shuttle schedule. 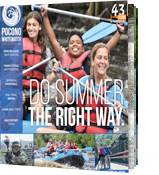 To make whitewater rafting reservations or to reserve Rail-trail Pocono Biking call 1-800-Whitewater or click the link below.